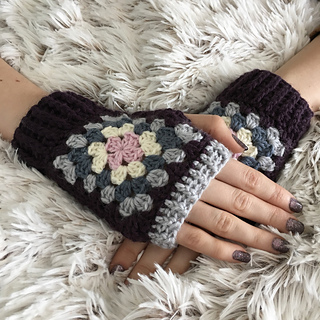 Will fit an average ladies hand, but notes are given in the pattern for sizing . 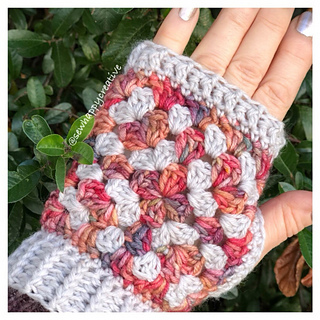 Our Granny square wrist warmer pattern is now available to purchase with a photo tutorial in a handy PDF format! 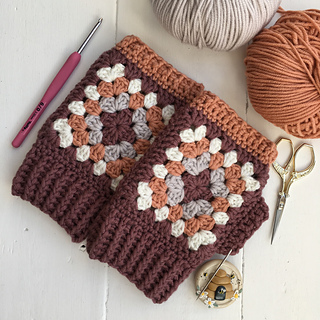 This lovely mitten pattern has been popular around the world,so why not try it yourself. The pattern is written in U.K. terms with US terms for ease of conversion. You will need to be familiar with the following stitches. dc = double crochet single crochet. 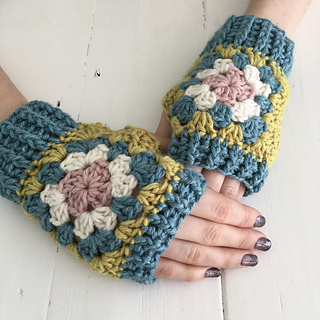 Will fit an average ladies hand, also included in the pattern are notes on how to size your pattern . This instant download link will be available once your payment has cleared. There are no postage costs as the PDF will be sent by email, due to this the item is none refundable. This listing is for pattern only and not a finished item. The colours in the pattern are for guidance only and simply to give inspiration for you, we do not include these shades in the pattern. Have fun creating your own colour combinations. happy crocheting . You are welcome to sell your finished creations made from this pattern, but we kindly ask that you credit us and that you link to our Etsy Shop www.etsy.com/uk/SewHappyCreative if selling online. We are always available for any help should you need it with this pattern, just drop us a message. 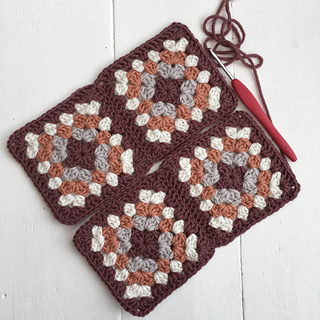 Please note that there are only a certain amount of variations possible in crochet and any similarities are purely coincidence to our knowledge this pattern is unique and original to us.